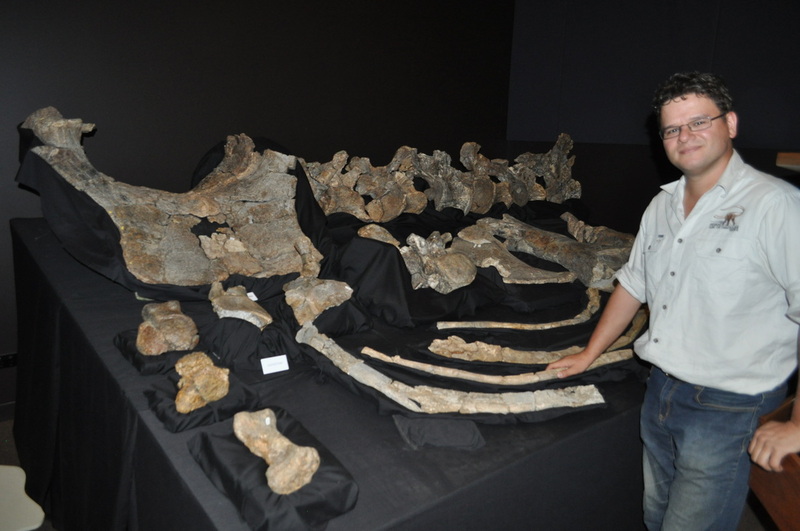 Stephen Poropat with the type specimen of Savannasaurus elliottorum, a.k.a. "Wade". Photo courtesy David Elliott.